The County Attorney Environmental Unit is responsible for the prosecution of environmental polluters. The goal is to apprehend and prosecute individuals engaged in illegal dumping, trash burning and other misdemeanor environmental crimes with the cooperation of local law enforcement agencies and health inspectors. Catalogs all existing cases by type of violation to determine the nature and frequency of environmental crimes being committed in El Paso County. El Paso County residents are at risk for serious health problems caused by illegal dumping, polluted water and polluted air. The County Attorney's Office recognizes the severity of this problem and is active in the resolution of it. A full time Environmental Prosecutor is assigned by the County Attorney to prosecute misdemeanor environmental crimes, such as illegal dumping, illegal outdoor burning, water pollution, and public nuisances. The Unit's goal is to prosecute violators of the Texas Health and Safety Code, Texas Water Code, and the Texas Clean Air Act. We seek to decrease environmental violations through increased prosecutions, to safeguard our community's health and precious natural resources. the statement must include the hauler's valid Texas driver's license number. 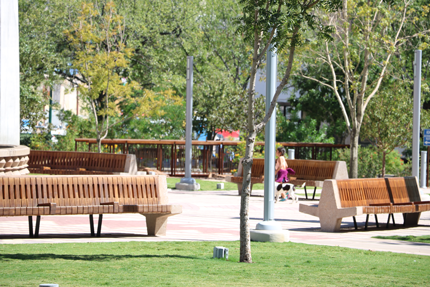 The goal is assist the El Paso County On-Site Sewage Facility program (OSSF) in their prosecution of sewage disposal violations of the Texas Water Code, Texas Health and Safety Code and other related laws where the violation threatens to cause harm to the health and safety of the public. The Prosecutor prosecutes hearings with Justice of the Peace courts. 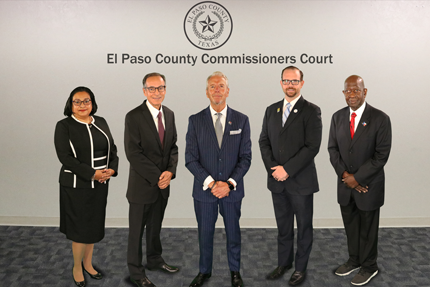 Assists the El Paso County OSSF program in their criminal prosecution of sewage disposal violations by representing the State of Texas at hearings in the Justice of Peace courts. Meets with El Paso County OSSF and Environmental program inspectors to coordinate filing, review existing cases and prepare for hearings.